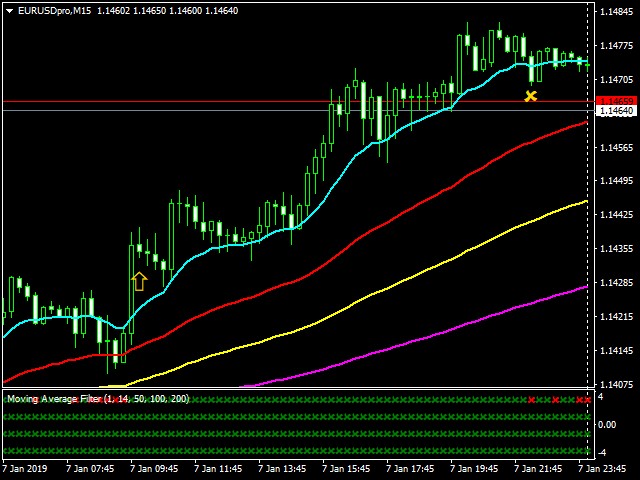 This is a filter of various moving average combinations used to give a higher level of confidence to trade entries. The indicator may be used with moving averages on the chart or independently by itself to show the current trend direction. Trade signals of the Moving Average Filter are based on the Price (1EMA) vs the 14EMA, the 14EMA vs the 50EMA, the 50EMA vs the 100EMA, and the 100EMA vs the 200EMA. Trade signals are produced when all of the filters are in alignment, thus showing all green or all red blocks. 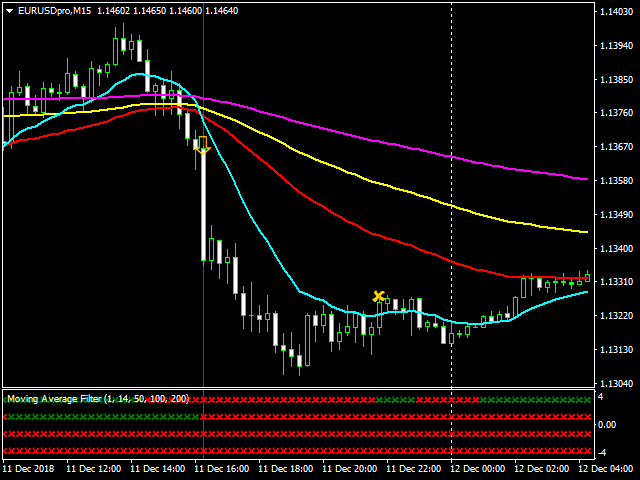 As this is a filter, the moving averages being used can be changed respectively. However, please note that this indicator has been programmed to compare the moving averages as follows: MA1 vs MA2, MA2 vs MA3, MA3 vs MA4, and finally MA4 vs MA5. If the user wishes to change the moving average values, please refer back to this logic.